A Sunderland road was closed overnight as a result of flooding. 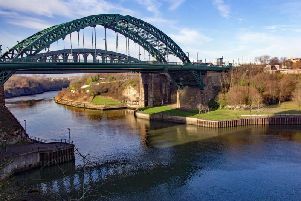 Tyne and Wear Fire and Rescue Service reported that the stretch of road between Sunderland B&Q and the Queen Alexandra Bridge in the city was closed in the early hours of the morning due to flooding. Northumbria Police reported that Pallion New Road in Sunderland had been closed due to a burst sewer main, but has confirmed that the road has since reopened following work by Northumbrian Water. The fire service said that they were called to a number of weather-related incidents last night and had warned drivers that the stretch of road was closed at the time. A Tweet from the service had said: "White Watch Control have received a number of weather related incidents tonight. "The stretch of road between Sunderland B&Q and the Queen Alexandra Bridge is currently closed as a result of flooding. #StaySafe2018"